Located just 32 miles north of San Francisco, Petaluma is a vibrant community of about 60,000 residents. Known as the gateway to Sonoma County, Petaluma's central location makes getting to the dramatic Sonoma Coast, majestic redwoods or hundreds of wineries an easy and beautiful drive. Residents and visitors love the charm of our walkable, historic downtown. Chartered in 1858, Petaluma is one of California's oldes cities and is nestled on the banks of the Petaluma River. Today, the iron-front buildings of the 19th century house one-of-a-kind antique stores, galleries and award-winning restaurants featuring farm-to-table wine country cusine. Our population is on the small side, but our personality is big. Almost every weekend on the calendar is packed with fairs and festivals celebrating our community spirit. Whether your interest ranges from art and music, beer and wine, or you're looking for authenic Americana, there's an event that is certain to show you a good time. Only in Petaluma can you experience the "Butter and Egg Days" parade and festival - an entire weekend devoted to honoring our agriculture heritage. The average temperature in Petaluma is about 60 degrees. Summers are rarely above 80 and winters rarely below 40 degrees. The weather isn't too hot or too cold; Petaluma is just right! 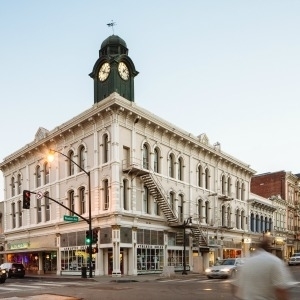 Petaluma combines the charm of a cherished antique with the magic of undiscovered treasure in a shopping, dining, scenic and historic destination. Visitors often start with enjoying the Historic Downtown district that includes some of the best examples of iron-front buildings of the US. History buffs can explore Petaluma Adobe State Historic Park that served as the center of General Vallejo's working ranch between 1836-1846. Built in 1904, the Petaluma Historical Library and Museum is a treasure unto itself. Petaluma’s population is on the small side (59,000) but our personality is big. Our Events Calendar is packed with fairs and festivals that invite visitors to share in our community spirit; whether it is by celebrating our agricultural heritage, love of the arts, riverfront location, or diverse culture. Our centerpiece event is the April Butter & Egg Days Parade that celebrates Petaluma's agricultural heritage and harkens back to Petaluma's claim as the "World's Egg Basket" in the 1920s. Historic downtown is the setting for Spring and Fall Antique Fairs and Petaluma's Salute to American Graffiti. The classic car show in May celebrates Petaluma's place in cenematic history; may of the movie's most memorable scenes were filmed in Petaluma. Outdoor adventurers can cycle through scenic rural countryside, enjoy paddlesports on the Petaluma River or birdwatch in Shollenberger Park in the Petaluma Wetlands; it's only two miles from downtown. Petaluma has easy access to the coast. Pt. Reyes National Seashore is about 25 miles to the south. Head west and in about a half hour, you'll be in historic Bodega Bay on the Sonoma Coast. Movie buffs will enjoy the seeing the schoolhouse from "The Birds" the Hitchcock Collection at the Bodega Country Store. Petaluma is a vibrant cultural hub for visual and performing arts. Art flourishes in downtown galleries and at the Petaluma Arts Center. Historic venues including Cinnabar Theater and McNears Mystic Theatre are known throughout the Bay Area for their entertainment worthy of a big city without big city prices. World class performers and concerts are always on the bill at the Green Music Center at Sonoma State University, located about 15 minutes from Petaluma. Sanford I. Weill Hall, which opened in September 2012, is considered one of the most acoustically superb concert venues in the world. Petaluma Transit buses are available throughout Petaluma. There are also Golden Gate Transit buses to San Francisco. Travelers can take an Airport Express buses to SFO or Oakland airports. SMART (Sonoma Marin Area Rail Transit) trains carry passengers on a 43 mile route between the station close to the Sonoma County Airport in Santa Rosa and south to the Civic Center in San Rafael in Marin County. Petaluma is in the middle of the route; the train station is just steps from the Visitors Center and a short walk from downtown Petaluma. Petaluma Valley Hospital, an 80 bed hospital, is located within city limits and is part of the St. Joseph Health system. Jan 38.9 F° 48.4 F° 57.9 F° 5.4 "
Feb 41.2 F° 51.9 F° 62.6 F° 5.3 "
Mar 42.5 F° 53.9 F° 65.3 F° 3.9 "
Apr 44.2 F° 57.0 F° 69.8 F° 1.4 "
May 46.9 F° 60.4 F° 73.9 F° 0.6 "
Jun 50.2 F° 64.8 F° 79.3 F° 0.2 "
Jul 51.8 F° 67.3 F° 82.7 F° 0.1 "
Aug 52.1 F° 67.5 F° 82.8 F° 0.1 "
Sep 51.5 F° 66.8 F° 82.2 F° 0.3 "
Oct 47.5 F° 62.3 F° 77.1 F° 1.4 "
Nov 42.2 F° 54.0 F° 65.9 F° 3.5 "
Dec 37.7 F° 47.9 F° 58.1 F° 3.8 "
Petaluma has the perfect temperate climate; enough change in temperature to have distinct seasons but never so hot or cold as to make it difficult to get out-and-about. Summers are rarely above 80 and winters rarely below 40 degrees. Condos Over 50 Communities Petaluma has a full range of housing options including downtown lofts, mobile home communities, and assisted living communities. Home care Senior center Visiting nurses Several organizations including Petaluma People Services Center, the Senior Center and the Village Network of Petaluma are dedicated to providing resources and help for seniors. The Volunteer Center of Sonoma County and the Village Network of Petaluma are skilled at matching volunteers with community organizations. 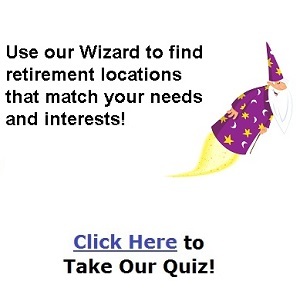 Opportunities abound!